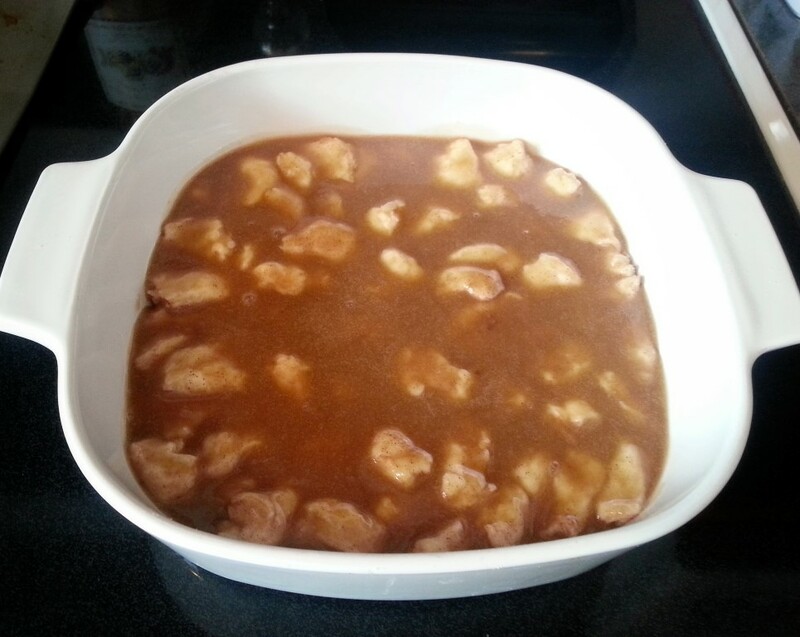 I was first introduced to caramel pull aparts in 7th grade when my Home Ec teacher divided our class into groups, gave us this recipe, and tested our cooking skills. I can still remember how amazing they smelled coming out of the oven and how delicious that first bite (and every other bite of these I’ve tried since that day) was. These are some of the best, if not the best, caramel rolls I’ve ever eaten. And the best part is they are very simple to prepare; remember this was a recipe given to 7th graders! 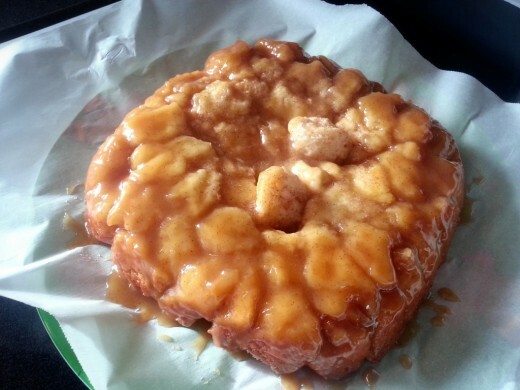 Although I could definitely eat these every day, I tend to only make them for special occasions. Typically this means Birthdays and Holidays, especially Christmas morning, but I also like to prepare them when we have guests. 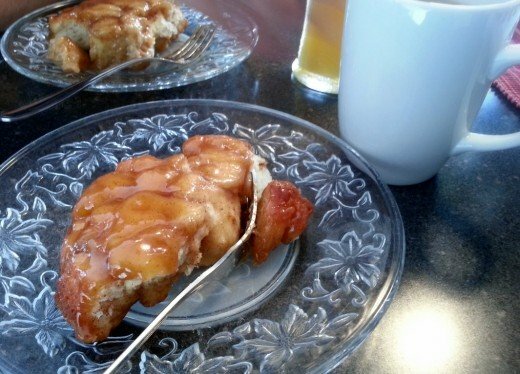 Valentine’s Day is quickly approaching; I can’t think of a better opportunity to try out this recipe and surprise your significant other or kids with a special breakfast! I like to make these up in advance to save some time in the morning. I prepare the biscuits and mix up the glaze, then store them in the fridge separately so the biscuits don’t get soggy overnight. In the morning, I reheat the glaze, quickly pour it on top of the biscuits and bake. In a small bowl, combine 1 teaspoon cinnamon with 1/4 cup sugar. Open up the package of biscuits and break them into small bite-sized pieces. Roll each piece of biscuit in the cinnamon and sugar mixture, then place them in an ungreased 8″ x 8″ pan, packing the biscuits together as you go. 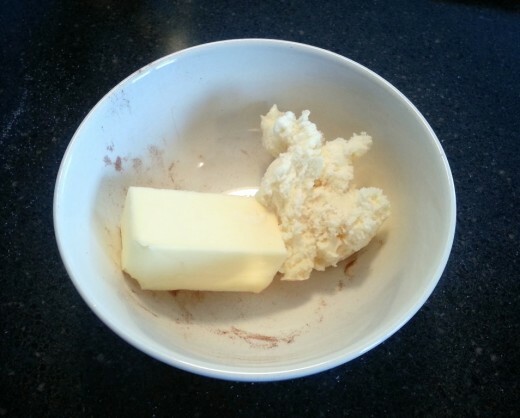 In another bowl, melt 1/4 cup butter with 1/4 cup vanilla ice cream. 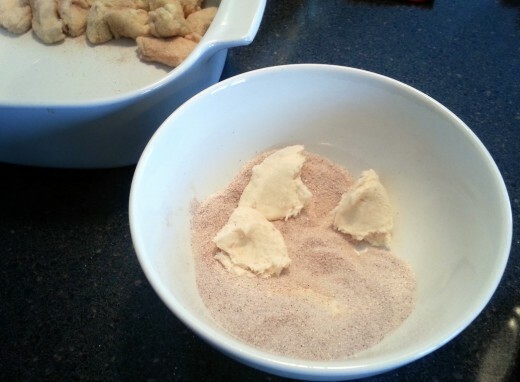 Mix in 1/4 cup sugar and 1/4 cup brown sugar. Stir well to combine. 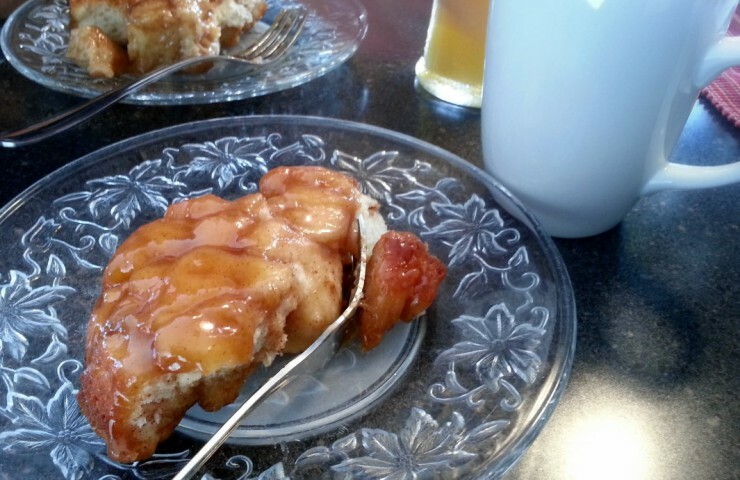 Pour the caramel glaze on top of the biscuits. Bake for 25 minutes until the middle is bubbling and set. If the biscuits in the center look a little gooey, bake for another 5 minutes. After removing from the oven, let them cool for a few minutes. In the meantime, lay a piece of parchment paper onto a plate then place it face down on top of the pull aparts. 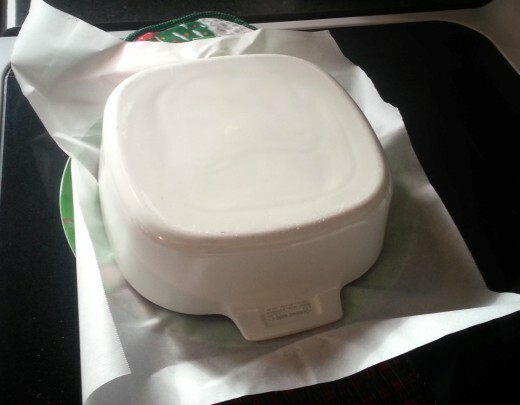 Using hot pads, grab the plate and the pan together and carefully turn the pan upside down. Once you have it flipped over, grab onto the pan itself and pull upwards to release the pull aparts from the pan. You can see in this next picture that the middle of mine isn’t totally set. It’s easier to notice if you compare the middle to the edges that are firm and caramelized. Look for this when you take them out of the oven. If they look like mine do, bake them a little longer! You want to let these cool just a little before eating, but don’t wait too long. These are best right from the oven when they are still warm. The key is to make sure you serve yourself some before they’re all gone! 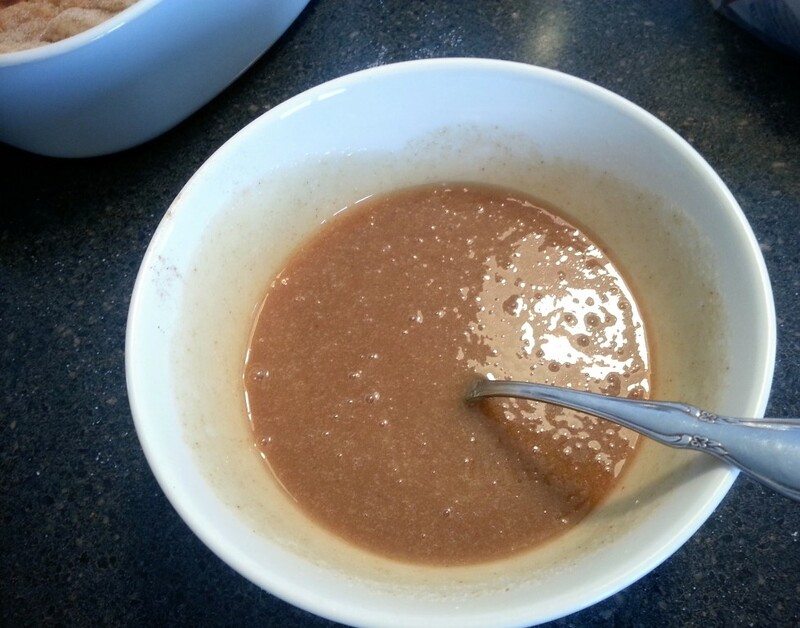 In a small bowl, combine 1 tsp cinnamon and 1/4 c sugar. 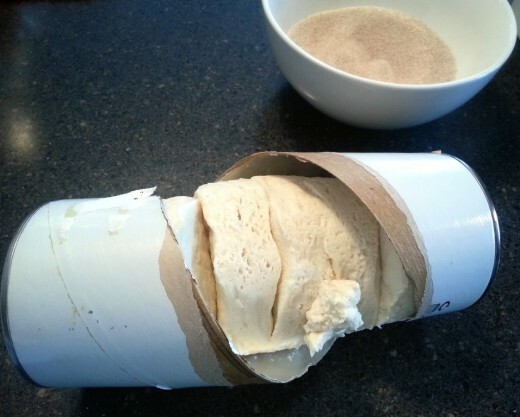 Separate biscuit dough into bite sized pieces. 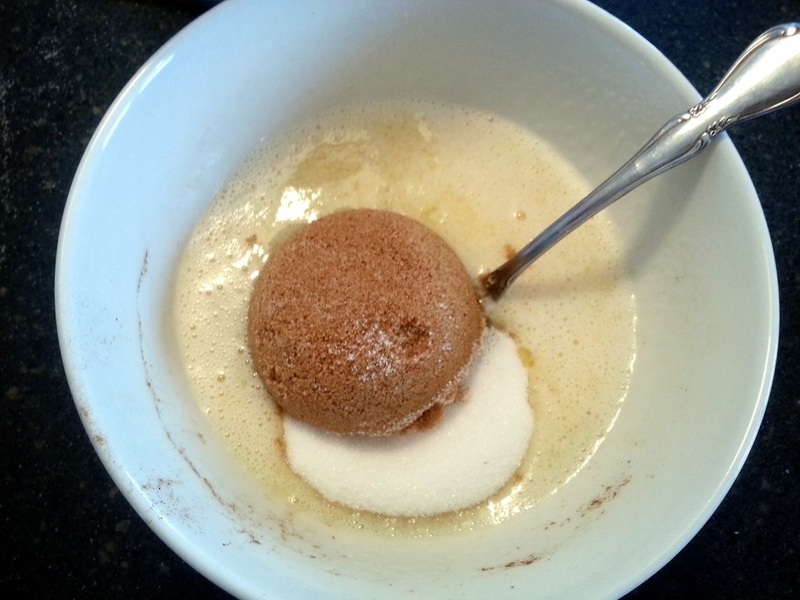 Roll each piece in the cinnamon and sugar mixture. Place in an ungreased 8" x 8" pan. In another small bowl, melt the butter and ice cream. Stir in sugar and brown sugar. Pour the glaze mixture over the top of the biscuits. Carefully turn upside down onto a plate lined with parchment paper. 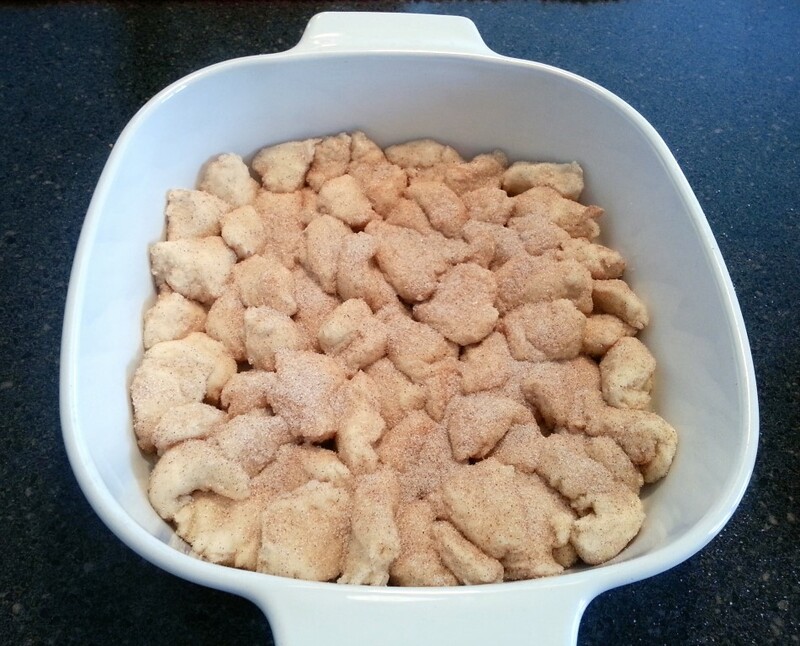 If I'm planning for a larger crowd (about 8-10 people), I will double this recipe and bake the pull aparts in a 9" x 13" pan.